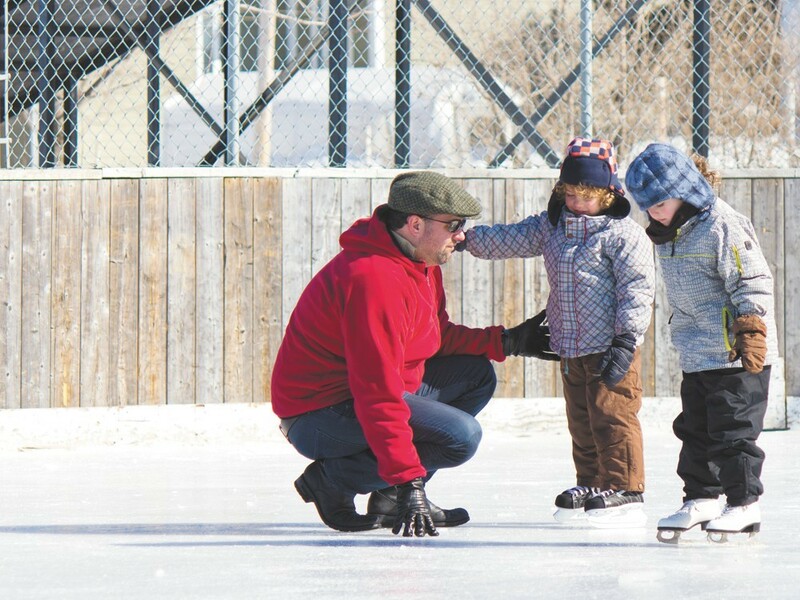 Learn to skate at any age at Riverfront Park's Ice Palace. Riverfront Park is still hosting the bright lights of the Chinese Lantern Festival through Nov. 15, but the park’s Ice Palace quietly opened last week. Yes, it’s that time of year again (but not quite Christmas yet! Let’s focus on Thanksgiving first, thanks). Now through February, lovers of the cold can skate around the rink with their significant others, friends or family in the fresh air. While skating is open to the public every day but Monday, you can also improve your skating, hockey or curling skills at the venue all while getting some much-needed exercise. Skating looks super easy when you watch it on the Olympics. It isn’t. It is not a movement that comes naturally. Thankfully, the Ice Palace offers lessons for folks of any age to learn to move forward and even backward, and most importantly stopping without falling down. It’s all about building confidence on the ice. Group and private lessons are available. Click here for schedules. Drop on in and play some hockey. You don’t have to be good, just have your own gear and be ready to play by the rules (i.e. no body checking or slap shots). Wednesdays, 8:45 pm-10 pm, are for ages 18 and over while Thursdays, 8:45pm-10 pm, are open to all 16 and over with a parental signature. For those wanting to learn how to play hockey (and skate!) check out the Eagles Ice A-Rena. Curling is kind of like the chess of ice sports, taking brains and major sweeping skills to accomplish well. It’s also one of those crazy leisure sports, like bowling, that pairs well with beer (not that alcohol is allowed on the Ice Palace premise). Learn everything about the shuffle-board-type-sport during lessons. Then join a league if you want to. Curling workshops, put on by the Lilac City Curling Club, have already begun. Ice Palace public skating hours: Tue-Sun 11am-5 pm; Wed-Thu 7 pm-8:30 pm; Fri-Sat and nights before holidays 7 pm-10 pm; plus additional holiday hours. Admission: $5; $3.50, children (3-12), seniors (62+) and military with ID; Skate rental: $3.50; Drop-in hockey: $8; Season pass: $45. Check here for special deals and prices. Call 625-6608 with any and all questions.